Modern Family - Ayden and Jess mixed timber with light cupboards for their family-style kitchen. Eye-level ovens - Darren and Deanne used an L-shape plan with bank of ovens in their cook’s kitchen. 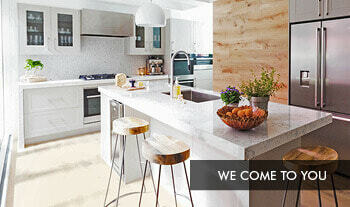 Classic family - The Forestville kitchen creates a clean, bright feel with white cabinetry in gloss finish. 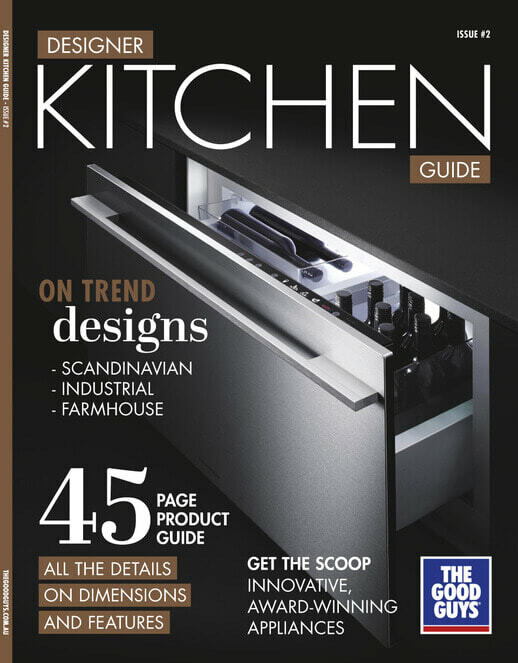 Smart storage - Smart cabinetry planning and appliance hutches make a functional family kitchen. The entertainers - Families that love to gather in the kitchen will love this galley layout with additional bench space. Relaxed family - The Lindfield kitchen uses the most of a large kitchen space with an L-shaped island. U-shaped - The Strathfield kitchen has plenty of food prep and benchspace with a large U-shaped design. 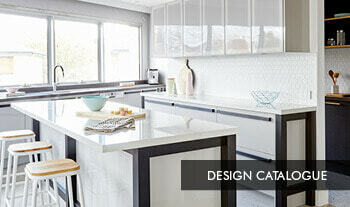 Contrasting cabinets - Tim and Anastasia created a modern kitchen look by contrasting dark and light cabinetry. Gas hobs heat the sides of pans and the base so they cook meals fast. They give you high heat in a flash and allow you to instantly and easily adjust the heat. The plastic corner carousel swings out and makes it easy to reach pots or pantry items at the back of tricky corner cupboards. Make it easier to store and access pots and pans with drawer dividers.